Toowoomba has some charming bed and breakfast places to stay in so you a can unwind as you relax and enjoy the beauty Toowoomba has to offer. Once you have recharged and energized you will be able to begin your exploration of the Toowoomba region. Please follow this this to our accommodation page to find a B&B that's right for you. The present day location of the Clifford Park racecourse was obtained in 1861 as a 65 hectare block (approx.). Clifford Park racecourse is located in Newtown and is home to the Toowoomba Turf Club. The Clifford Park racecourse is a multi-function facility providing a venue for hosting functions and events. The park also provides a training facility for members of the racing industry. 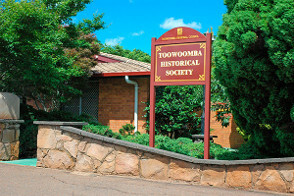 The origins of the Toowoomba Historical Society date back to approximately 1950 when a small group was formed to discuss Toowoomba's history. At the commencement of 1970's this group was disbanded and it was not until the latter part of the 1970's that the society had reformed in the same spirit to discuss and research Toowoomba's History. The society was incorporated in 1996. The society's mission statement is "To stimulate our community’s interest in the economic, social, cultural and environmental history and heritage of Toowoomba and its environs." - note: the definition for environs is "surrounding areas and districts". The historical society is constituted of a library with research facilities which is available to members of the public. The society has a vast archive of literature, photos and artifacts. The society does also accept enquiries from the public. The Library is located at 49 Lindsay St (between Queens Park & Queens Park Gardens) in East Toowoomba QLD 4350. Toowoomba city council origins date back to 24th November 1860, when Toowoomba was declared a municipality. This was quickly followed by the first council election on the 4th January 1861. William Henry Groom became the first mayor of Toowoomba, after which the Australian electoral division of Groom is named after him. Toowoomba's status of town transitioned to a city at midday on the 20th October 1904. Toowoomba celebrated its centenary as a city in 2004. The Toowoomba Visitor Information Centre is located at 86 James St, Toowoomba QLD 4350 (on the cnr of Kitchener St) in an attractive late 1800’s Queendlander style building. The volunteer staff are knowledgeable and able to point you in the right direction to get you started on you discovery of the Toowoomba region. 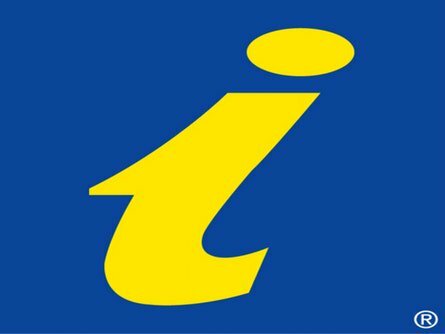 Some of the facilities available at the information centre include books, souvenirs, pamphlets, brochures, maps, refreshments and wireless fidelity (WIFI) . Only a stones through from the Toowoomba CBD, definitely worth a visit. Glen Lomond park is located in the Toowoomba suburb of Middle Ridge, in the escarpment area to the south-east of the city. The parkland is shared by bush walkers, mountain bikers and horse riders. The namesake of the park is probably of English or Scottish descent. The park has three bush trails.